McLaren team principal Martin Whitmarsh fears there will be "controversy" at the Monaco Grand Prix. (CNN) -- McLaren team principal Martin Whitmarsh has suggested the six slowest cars in Formula One should have their own qualifying session at the Monaco Grand Prix to avoid congestion on the notoriously tight track. A huge difference in pace between the leading cars and those at the back will heighten safety concerns and make overtaking difficult on a crowded circuit, according to Whitmarsh. McLaren driver and former World Champion Lewis Hamilton had problems with back markers at the Spanish Grand Prix, describing the situation as "insane." But pleas to split the qualifying session in half were rejected by the Formula One Teams Association, Reuters.com reported. Now Whitmarsh has put forward a unique solution to the problem before qualifying begins on Friday. He told Formula One's official Web site: "I think Q1 in Monaco will be very, very difficult and I think it's difficult for all of the cars. We have to accept at the moment that there are six cars which are difficult to avoid. "We have to accept at the moment that there are six cars which are difficult to avoid. They have been in the order of six or seven seconds slower. And when you're trying to open a gap, you have cars behind you so you can't back off. "It's a circuit on which you're likely to catch cars and a circuit on which it's very difficult for those cars to get out of the way even if they want to. "So the slowest cars will do the lap, presumably staring in their mirrors, which I'm sure is a distracting thing for them. "Even if they see something in their mirrors, trying to respond to that will be very difficult, even if they're on a slow lap, let alone a fast lap." 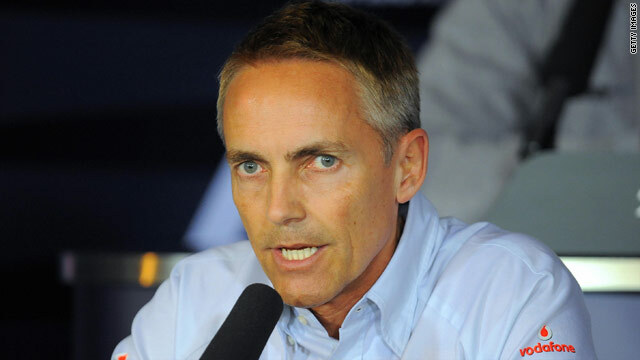 Whitmarsh's solution would be to assign the slowest six cars their own qualifying slot, before allowing the rest of the field to battle it out. He added: "By choice, I would advocate that we divided it up somehow. "Either by merely splitting the field in half, so you reduce the number of cars that have to manage the space on a very tight track, or you have a session, if perhaps you thought - unkindly - that the six slower cars were going to fight it out among themselves, they could go out for the first five minutes. "It would therefore have been decided on their own order of merit before the rest of the cars are on track. It has always been difficult but with more cars and a greater performance differential, I think there will be controversy."